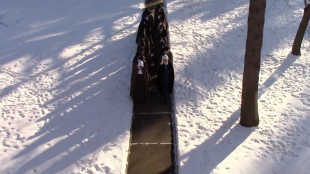 This documentary about the Life of Cloistered Nuns, The Poor Clare Colettines in Corpus Christi Monastery, Rochford, Illinois USA, cleverly invites today's world through Modern Technology, to experience a Contemplative Way of Life, which has flourished and seems to some A Medieval Life Style .. 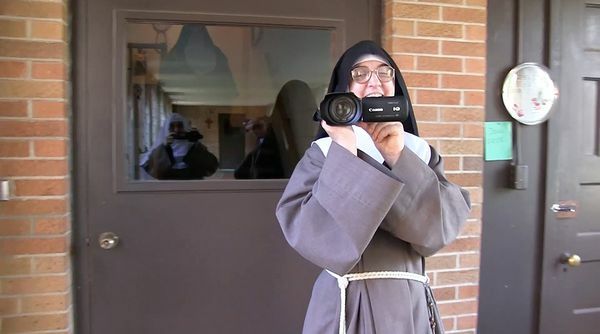 The Director, Abbe Reese, author of " Dedicated to God, "an oral history of Cloistered Nuns (Uni Press) sought the permission of the Prioress and equipped the Community with video cameras to capture their every day timetable, in a non intrusive way, also one which did not encroach upon their privacy. Their way of life is beautifully encountered by following an aspirant, Heather, as she, on video captures the slow, gentle pace of life in the Community and that which she hopes to embrace. Silence reigns throughout much of her video, which not only engages with the life and prayer of the Community but leads us the viewers to 'walk with her' as she discerns her Call from God to live a life of prayer and sacrifice, a hidden life, one in which she would hope to participate until death . As the young girl is accepted into the Novitiate, Sister Amata (a pseudonym) to keep her privacy, practises Custody of the Eyes, to watch her Sisters as they perform their duties, and as a way of learning the life of a Cloistered Nun. Definitely a clever way of showing this radical and counter cultural way of life. Her Novice Mistress equipped with camera too, displays great wisdom in leading her with freedom into making choices, which eventually leads Amata to committing herself for life . 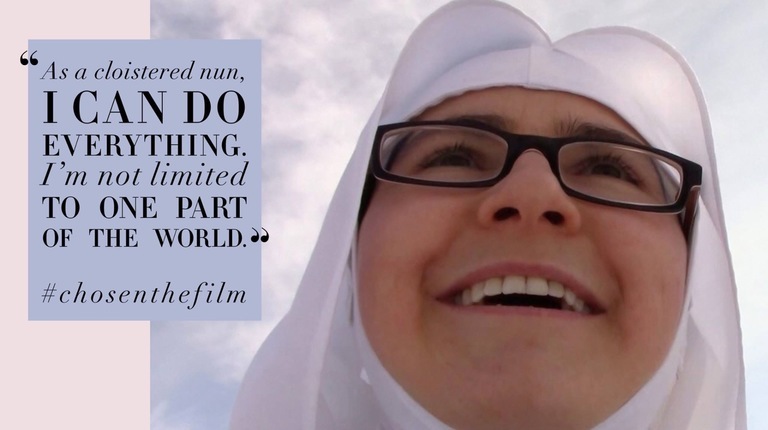 This film came across positively as a charming piece of slow Cinema in which one, the viewer, was privileged to be part of the Life of a Contemplative, Cloistered Community. It was a beautiful and innovative way of Taking Part in " Open Doors " or " Open House " where we engaged for a time with those sisters who showed themselves as totally committed to their God. Thanks to the Women's Library of Glasgow for bringing this film with its director Abbe Reese to Glasgow as part of Glasgow Film Fest. About sixty people, mostly women took this opportunity to educate themselves about a different and hidden way of life.